Cincinnati Scenic Railway is 501c(3) non-profit organization operating historic railroad equipment for the education and enjoyment of the public. Based in southwest Ohio, our organization operates excursion trains over the Indiana & Ohio Railroad. Cincinnati Scenic Railway is the operator of the Lebanon Mason Monroe Railroad and The Ohio Rail Experience. 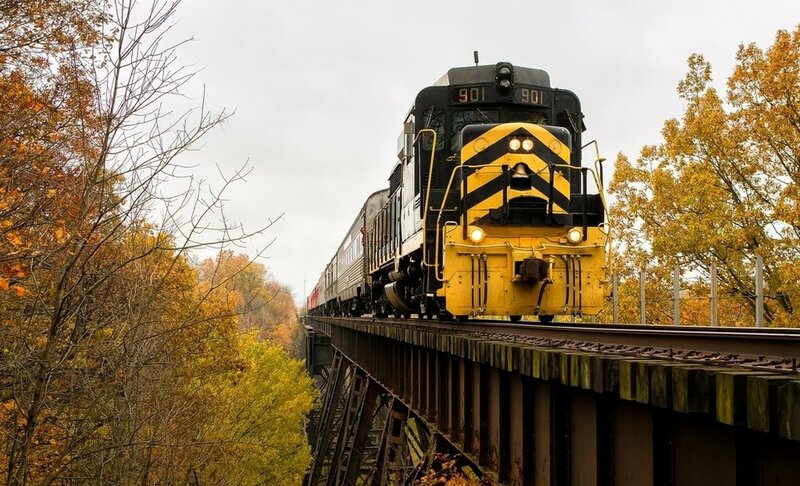 Together these operations provide year-round excursion train rides in western Ohio. Our organization owns multiple pieces of historically significant rolling stock including the country's oldest continuously operating GP7. CSR has a rapidly growing passenger excursion operation. Ridership has grown 80% since 2012. Ray Kammer Jr. is a lifelong railroader with a background in excursion railroad operations. Past positions include serving in leadership roles at the Cuyahoga Valley Scenic Railroad, the Cincinnati Railway Company, and Lake Central Rail Tours. Ray brings 20+ years of excursion railroad experience to Cincinnati Scenic Railway. Ray is a currently serving a board member of the of the Railroad Passenger Car Alliance. Outside his role at CSR, Ray is actively involved with the Ft. Wayne Railroad Historical Society and AMC Rail. Will Gawin started working for the Lebanon Mason Monroe Railroad as a passenger conductor while attending the University of Cincinnati. Will stepped into a temporary leadership roll in 2016. After successfully overhauling CSR operations, he was asked to continue as a full-time manager. Will is responsible for marketing and day-to-day CSR operations. Scott Jarrett has extensive mechanical and railroad operational experience. 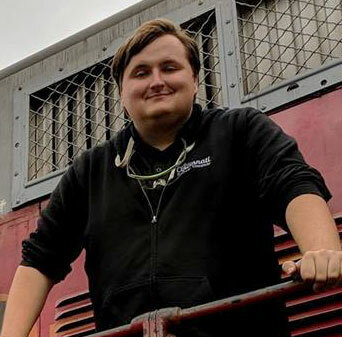 Scott has worked for: Ringling Bros. and Barnum and Bailey Circus, Amtrak's Beech Grove Shops, and The Chicago, Ft. Wayne, and Eastern Railroad. Scott is responsible for mechanical services, project management, and documentation. Matthew Fruchey is a retired police chief that previously worked as a conductor for Norfolk Southern. Matt brings extensive local government and class one railroad experience to Cincinnati Scenic Railway. Matt is responsible for overseeing train operations and maintaining regulatory compliance. All donations to Cincinnati Scenic Railway are tax deductible. Small donations can be made online. Please contact the LM&M Railroad ticket office at 513-933-8022 if you have any questions. We thank you for your contribution to preserving southwest Ohio's operating railroad history. Ohio Rail Experience (ORE) excursions are operated in partnership with local historical societies, the Lebanon Mason Monroe Railroad, and the Cincinnati Railway Company. These trips are a unique opportunity to experience the golden age of rail right in your backyard and feature a causal family friendly atmosphere. ORE trains will travel on railroad tracks that do not regularly host passenger trains. Some lines ORE will traverse have not seen a passenger train in over 40 years. The Lebanon Mason Monroe Railroad (LM&M Railroad) operating from Historic Downtown Lebanon Ohio offers historic train rides through southwestern Ohio in Warren County. These trips feature rides behind our GP7, number 55 (ex-C&O 5704). The LM&M Railroad offers themed trips year round for passengers of all ages. Trains operate year-round and feature excursions for passengers of all ages. The LM&M Railroad's most popular event is the North Pole Express with over 18,000 passengers climbing on board to visit with Santa annually.